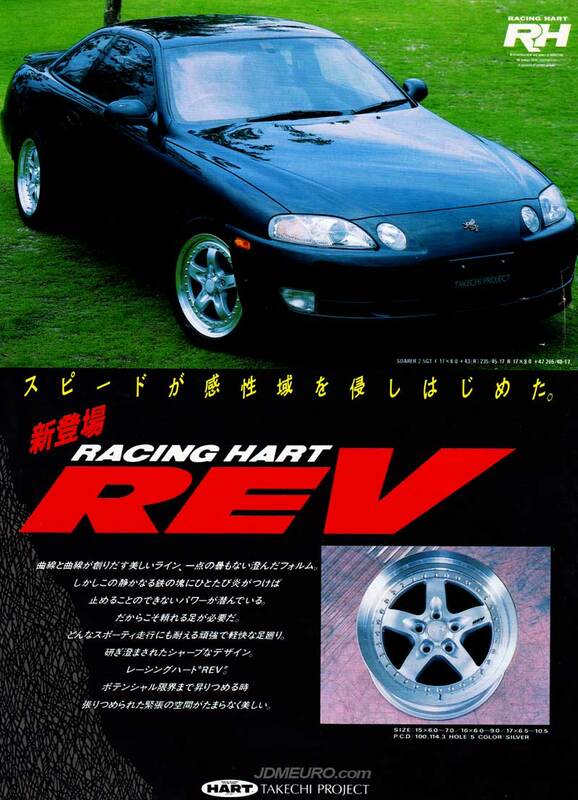 The Racing Hart Rev are JDM Wheels that were popular during the 90’s. Produced by Takechi Project the Racing Hart Rev were actually made by Work Wheels. The Racing Hart Rev feature a muscular 5 spoke design, with 3 piece sandwich mount construction and stepped lips. Sizing was available in 15″-17″ diameters and widths up to 10.5″. There even is a rare high disk model. Pictured above is a JDM Toyota Soarer on 17″ Racing Hart Rev.